Another even year, Bermuda Race time again. A new “Charisma” designed for Jessie Phillips by Sparkman&Stephens. Olin always said that Jesse was his favorite client. The Bermuda race turned out to be the worst finish I have ever tallied in my sailing career. a number of factors contributed to that. 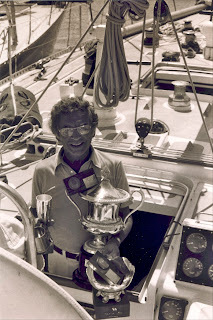 Later that summer I joined Ted Turner in Marseille,France to once again sail the One Ton World Championships on “Pied Piper” the Peterson design that had been sailed by Lowell North and beaten us the year before. Ted ended up leaving the regatta early and Lowell appointed me the starting helmsman. We finished second for the regatta by a few feet, in the last race. 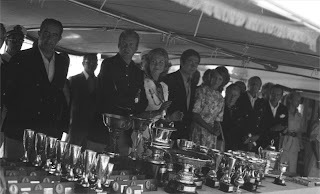 regrettably I have no photos from the regatta.